Get your own hot cup of Starbucks coffee brewed fresh without having to go to the shop. 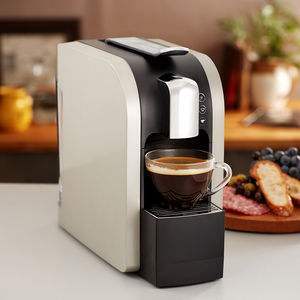 The Starbucks Verismo allows you to brew your perfect latte or espresso at home without having to wait in line. Just put a Verismo pod in your machine for a delicious cup. You can currently get free shipping and a box of coffee pods when you order a Verismo machine at Starbucksstore.com thru 1/1/2013.